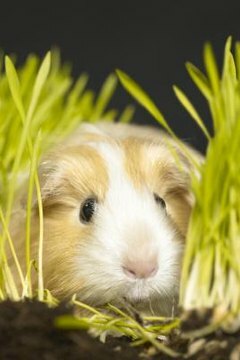 A guinea pig will reach adulthood at about 6 months of age. Once full grown, he will measure between 10 and 14 inches in length. A healthy guinea pig will weigh between 1.5 to 2.5 pounds. Because there isn't much room for variation, a guinea pig that weighs more or less than this standard could be facing health problems. Weigh your pet regularly to monitor his weight and contact the vet if you notice any abrupt changes.